Saving is the best solution for people who want to be financially secure all the time. There are many banks and other financial institutions that offer different kinds of services for individuals who want to save up some cash. Instead of keeping your hard earned money in a regular savings account that only offers minimal interest, why not invest it in a Certificate of Deposit? CDs are basically secure with a fixed interest rate. The longer the term you choose, the higher your interest rate and the more your money will grow. 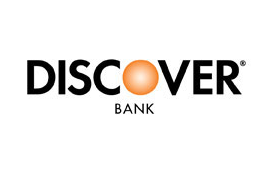 One bank that offers CDs is Discover Bank. Aside from CDs, Discover Bank also offers other services such as credit and debit cards, loans, online savings, and even money market. Those who really need financial services will be able to get what they need from Discover bank. The Certificate of deposits at Discover Bank is FDIC insured up to the allowed maximum amount by law and has a very convenient and easy renewal once the term matures. In terms of the initial deposit, the minimum amount is as low as $2,500 and can be funded by an existing bank account whether online or not. Today, the latest rates they have are definitely a good grab. Those who want to choose a shorter period can choose the 6 months term with an interest rate of 0.75% and an APY or annual percentage yield of 0.75% as well. For their 12 months term, the APY and interest rate is 0.90% and 0.95% for both the APY and interest rate for the 18 months period. 1.34% interest rate and an APY of 1.35% for the term of 3 years and 1.98% rate and APY of 2.00% for the 7 years term. There are still many other terms that people can choose from once they will decide to open a CD account with Discover Bank.